This healthy dish combines two classic comfort foods—meatloaf and mashed potatoes. Cook the Garlic Herb Oven or Grill Ready Creamer potatoes according to the package directions. Transfer half of the potatoes to a medium-sized bowl. 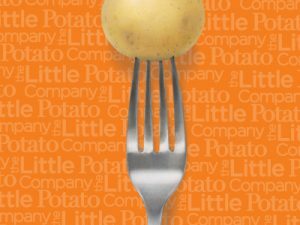 Set aside the remaining potatoes for another use (they could be served alongside the meatloaf). Mash the potatoes with the back of a fork until roughly mashed. Turn the oven temperature to 375°F. Line a baking sheet with foil and lightly coat with cooking spray. In a large bowl, combine the ground turkey, mashed potatoes, onion, garlic, zucchini, breadcrumbs, parsley, egg, soy sauce, oregano, pepper and red pepper flakes. Stir to combine. Form the turkey mixture into an 8×5-inch rectangle on the prepared baking sheet. Brush the tomato sauce on the top and sides of the meatloaf. 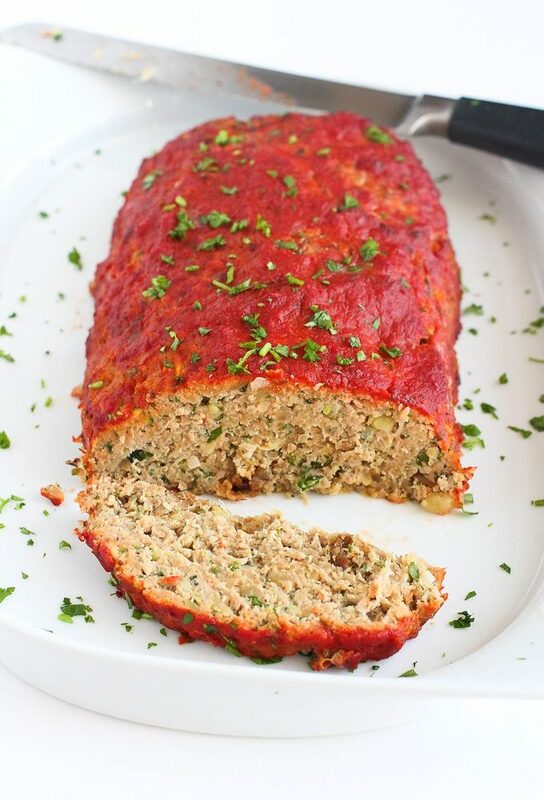 Bake until a thermometer inserted in the center of the meatloaf reads 170°F, 45 to 50 minutes. Let the meatloaf rest for five minutes. 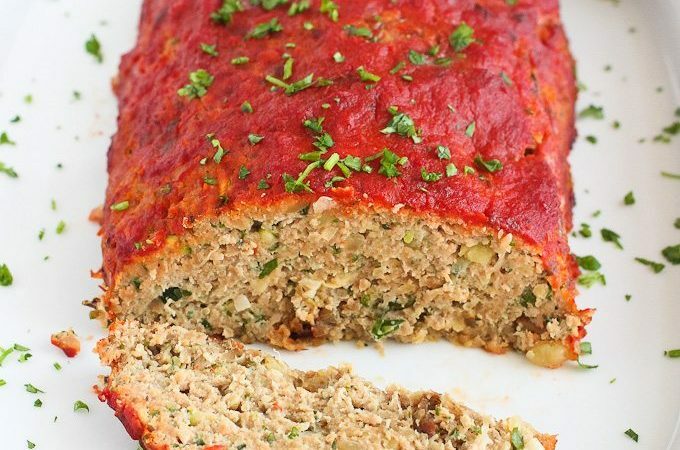 Using a serrated knife, cut the meatloaf into ½-inch slices. Serve.